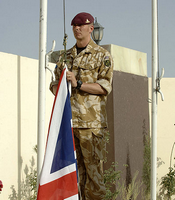 British Roots for Obama's Afghanistan Plan? WASHINGTON -- The new strategy for Afghanistan and Pakistan that the Obama administration unveiled today reflects a policy consensus that has been more than a year in the making. It is only recently, however, that the U.S. government has begun to take the lead in developing and implementing this new strategy.